Claudia Barretto is the Philippine representative in a music video created for the Thai film Friend Zone. Claudia Barretto gets her acting debut via the Thai film Friend Zone. She also represents the Philippines in a music video created for the movie. Claudia sang her parts in Tagalog in the music video featuring guest singers from China, Cambodia, Indonesia, Laos, Vietnam, Malaysia, Myanmar, and Vietnam. 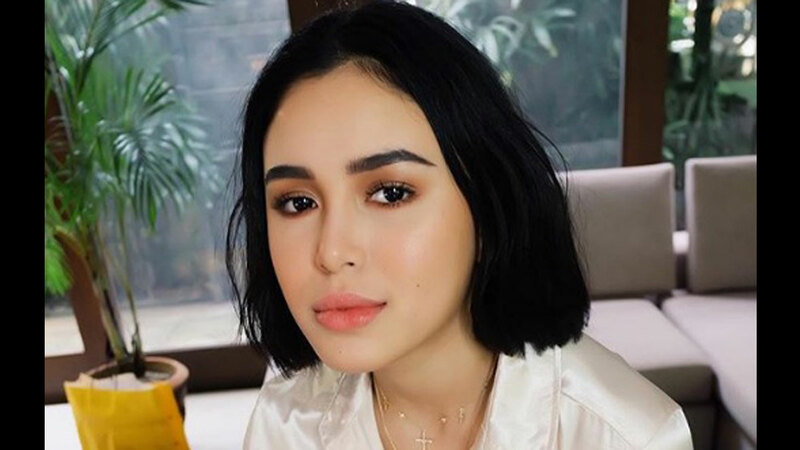 The Pinay singer, who is the younger sister of actress Julia Barretto, had the chance to shoot the music video in Bangkok, Thailand a few months ago. Claudia posted a snippet of the music video in her Instagram account and wrote in the caption: "So honored to have been a part of FriendZone, a Thai movie, coming out in theaters soon! The official music video for #FriendZone is out now. Watch my performance with 8 other international singers." Friend Zone tells the quirky story of a Platonic-turned-romantic love between lead Thai actors Nine Naphat and Baifern Pimchanok. In this movie, Palm (played Nine Naphat) has been stuck in the friend zone with Gink (played by Baifern Pimchanok) for 10 years. During high school, he confessed his feelings for her but she just wanted to stay friends. Now, she tells him off when he breaks up with his countless girlfriends. Every time she fights with her boyfriend, he uses his perks as a flight attendant to fly wherever she is to be with her. One day out of the blue, Gink asks Palm if he ever wondered what if we were an item? If Baifern looks familiar to Philippine audiences, it’s because she shot to fame after she co-starred with Mario Maurer in 2010’s Crazy Little Thing Called Love. Friend Zone is considered the highest grossing Thai film this 2019. It is made by the producers of the films Bad Genius and Brother of the Year. Friend Zone will be released nationwide in the Philippines on April 10, 2019. It will also be screened in 13 other countries.